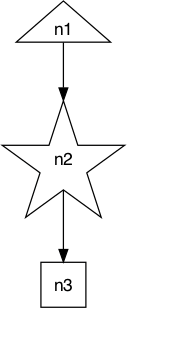 In the dot language of GraphViz I want to describe a 2-mode network. So I have nodes of two different types. One group for example could contains people how read and the other group could contain the books being read by the people. I want to give the nodes in these two groups different looks (shape, color, etc). How can I specify the attributes for a group of nodes in one statement. The aim is to be able to change the look for each group of nodes in one place, not in all individual node descriptions. This could be done with something like attribute inheritance, but I don't know whether the dot language has this concept. assign attributes to a group of nodes after creation. 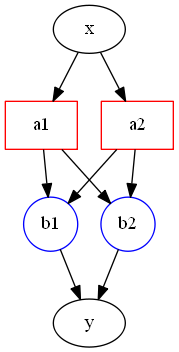 Options 1 and 2 allow only one group per node as creation is a single event. Option 3 allows different grouping for each assignment. 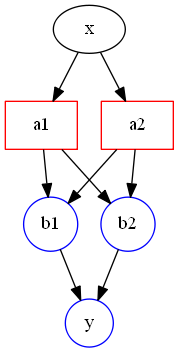 This can be done for all nodes in a graph with the node keyword, or for all edges in graph with the edge keyword. This can also be done on a node-by-node or edge-by-edge basis. Not the answer you're looking for? Browse other questions tagged grouping graphviz dot or ask your own question. How does a script optimally layout a pure hierarchical graphviz/dot graph? 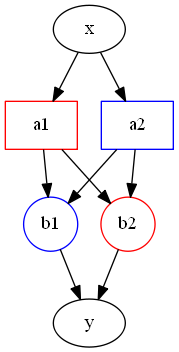 Relation between graphviz, the DOT format and cgraph?